Dublin’s deeply-personal indie-popsters Delorentos are growing up, fast. In ditching and totally rewriting their fifth album, they hope the result – ‘True Surrender’ – shows them for who they truly are. 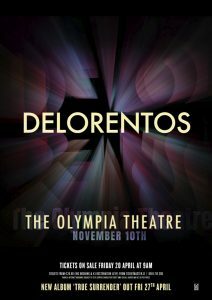 As an embedded mainstay of the Irish music scene since their debut album ‘In Love With Detail’ propelled them to regular radio play and local acclaim, Delorentos – some of whom have been friends since childhood – have been fairly quiet since 2014 release ‘Night Becomes Light’. In part, that period of quietness has come about because they’ve produced two different albums. 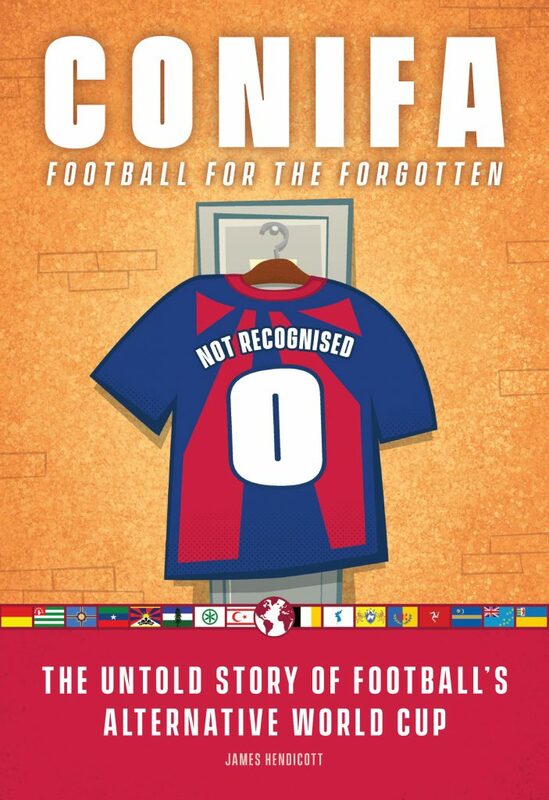 The Dubs entirely abandoned the first of the two, written in a Spanish vineyard, in favour of a sound that more reflects the changes in their lives. Slowly, Delorentos came to the realisation that they’d have to abandon the planned album and start again. The new version, entitled ‘True Surrender’, is quite a departure from their traditional style. There’s a fantastic freedom that comes with Delorentos independence and insistence on following their own path. That flexibility shines in the way they approach touring and music, too: on a recent tour, they heard of a couple getting married down the road, with their track ‘Waited For You So Long’ as the first dance. The band got in touch to see about playing it live at the wedding, and delivered something really personal. Lacking a big PR budget, they’ve spread largely by word of mouth. It’s a testament to the quality of the tracks, then, that tours have taken Delorentos to Mexico, Russia and across Europe as they’ve grown, album by album. There’s also been a lot of interesting promo activities, from the rootsy decision to go back to small-venue tours ahead of the album launch, to the pop-up shops and band magazine that came along with the release of 2012 album ‘Little Sparks’. 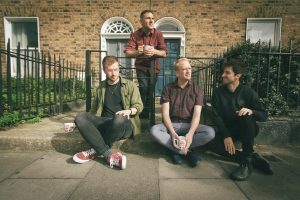 The pop-up shop concept became quite common after that album’s release, so this time around Delorentos decided to funnel their budget into videos, as well as some in-store shows around the launch of the album, and their first ever listening party. The latter includes a live chat with Stuart Clarke of Hot Press, and signed vinyl copies of the new record for every attendee. The progress, for a band that formally split and ‘played their last show’ back in 2008, before deciding they missed things too much, is astonishing. “It can be difficult to draw a line, though, in terms of all the personal stuff,” McGuinness continues, talking of regularly singing ‘Home Again’ – a song about learning his partner was pregnant – to his young daughter, but avoiding the ‘flip-side’ track ‘Am I Done’, which examines the anxiety he felt around becoming a father. 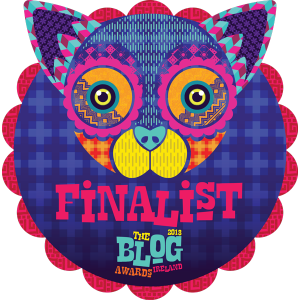 “I met this DJ the other day who said she can’t think of adoption without thinking of me, and I’m not entirely comfortable with that,” he said, referring to the track ‘Petrerdu’, which examines McGuinness’ adoptive past. 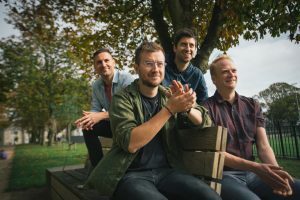 Not that Delorentos will be shying away from personal explorations in their new release, as debut fifth-album single ‘In Darkness We Feel Our Way’ – the only survivor from the scrapped Vineyard album – shows. The result of that personal touch has been an intensity of connection with fans, one that’s clearly working, as a debut headline show at the Olympia Theatre, taking place in November, shows. True Surrender is out now.